Minister of Local Government Vincent Mwale has confirmed that the land where Kalingalinga Police Station has been sold to a developer. This decision has made government come under fire from stakeholders who has branded the exercise as an act of looting of public resources especially that the process is shrouded in high secrecy and is being conducted wit hout public tender processes or public criteria. 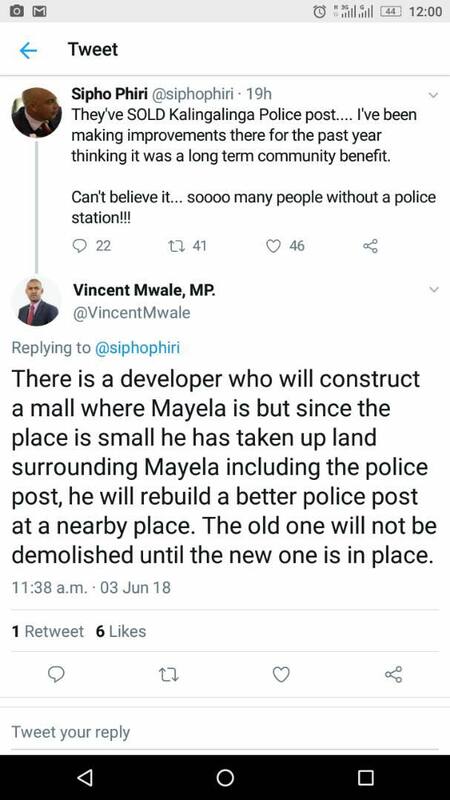 Confirming to residents who have expressed outrage by governments decision to sale the land of the Police Station, Mwale said a new shopping mall is coming in the area and a small section will have a new Police Station. Minister of Works and Supply, Felix Mutati disclosed that Government will sale or lease to the private sector lucrative plots, land and buildings that are “wasting” assets.